I apologise in advance for the short forecast and report today but I am fitting it in between filming session for our next fishing video. Reports from West Bexington on Monday and Tuesday were almost unbelievable. 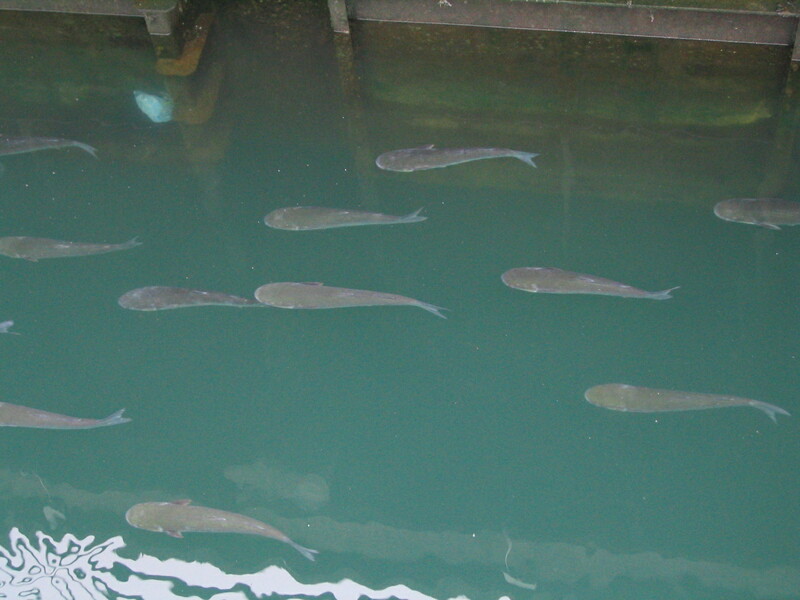 Several anglers found themselves right on top of large numbers of Plaice. One angler reported having his best day ever with 21 Plaice. Chesil Beach forecast: with huge tides this weekend the Plaice fishing will be poor. However it should bring in more shoals of Mackerel and Herring. It has been very good for Undulate Ray on the beach recently, especially when the water is carrying some colour as it is now. Portland: If I have time this weekend, I will be targeting Wrasse on soft plastic lures. It has been months since I last had a go at these hard fighting and very colourful fish. Best marks will be Church Ope, the Bill and Chesil Cove. Portland Harbour: Still not much happening in the harbour, but the Flounder should start to return from their spawning. The first Bass normally start to enter Portland Harbour in a couple of weeks, but as the water temperature is higher than normal they may return sooner. Weymouth Bay: the piers are starting to produce even more fish, with plenty of small Wrasse, Pout, Pollock and even some squid. Guiding on lures and bait: now the the weather is starting to improve I will be concentrating on Lure fishing again. Although we can’t take any Bass we can still fish for them. I am limiting my guides to 100 this year, which is a 30% drop from last year. I want to concentrate more on creating videos. However we can offer guided services in Poole and Plymouth, as well as the North East of England. If you would like to be a Fishing Tails guide then please contact us for more details. 2 Responses to "The Mullet are back"
I fished West Bex all day Tuesday and the only fish caught–all day- were 2 dogfish,by me. I got it from one of my regular contributors. He was fishing next to the guy that had 21 Plaice and he only managed 1. The guy that had all the Plaice was only casting about 70yds, but it is as I always say on Chesil. You have to be on the spot and remember to the yard where it is the next time you come. Most anglers do not do that well when fishing Chesil, as it is a tough beach to fish, but because so many people fish it, there are always reports of fish.